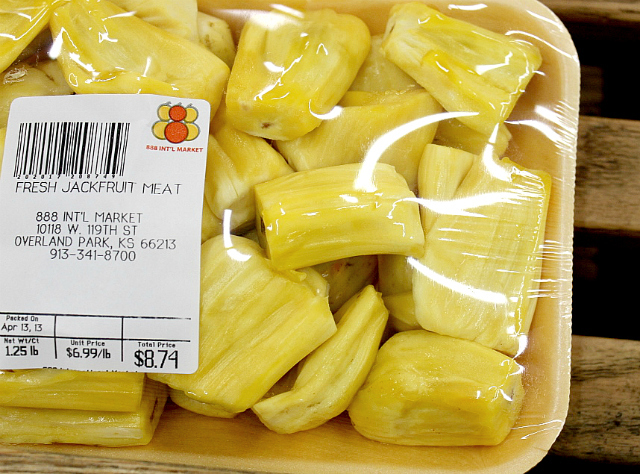 Wondering what all the buzz is about jackfruit? I’m here to help! 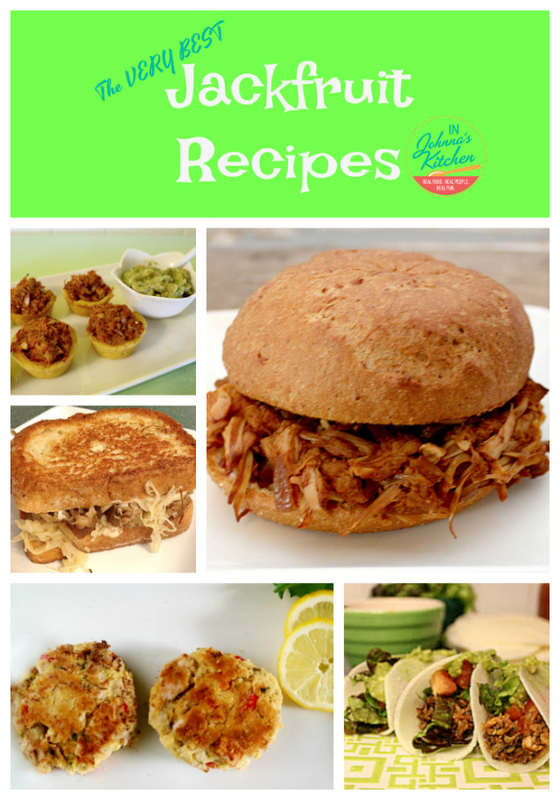 Plus I’ll share with you the very best jackfruit recipes that you can easily make in your own kitchen. 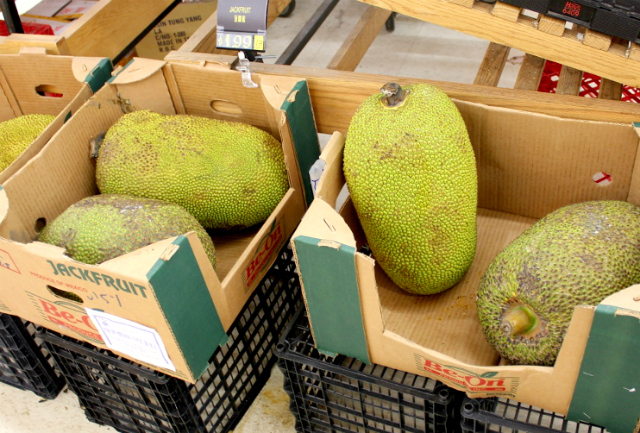 Jackfruit is the world’s largest fruit grown on a tree. It can grow to 80 pounds and a single tree produces as many as 200 fruits in a year. When it is ripe and sweet, you’ll recognize the smell and flavor–Juicy Fruit! When it is young and green, you’ll find it doesn’t have much flavor but makes an amazing meat replacement. It shreds like pork or chicken and absorbs flavor rapidly. It’s ideal for those of us who can’t eat the gluten found in many meat replacements or for those who just want a less processed option. 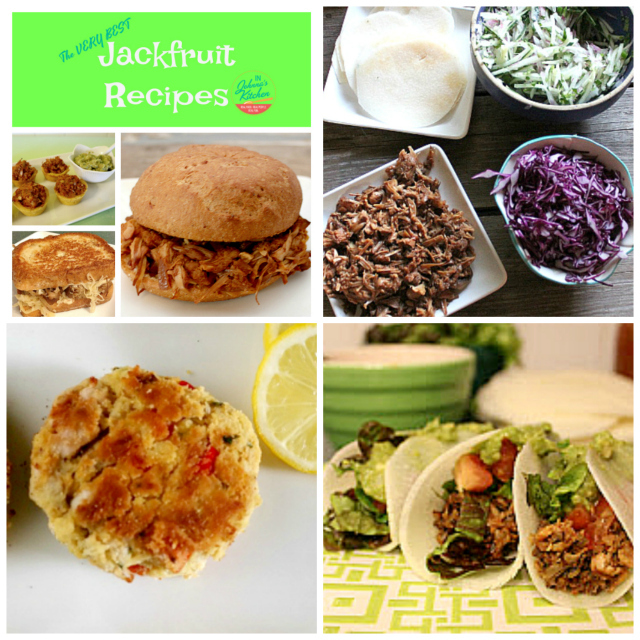 The recipes I’m sharing below all use young green jackfruit. This is important to note. It will come canned in either a salt brine or water. I prefer the water packed version, but when the brine version is all that is available, it works well after a good rinse. You’ll find this at Asian markets, Trader Joe’s, on Amazon and some larger supermarkets. None of the recipes below use ripe sweet jackfruit, which is best used for desserts. 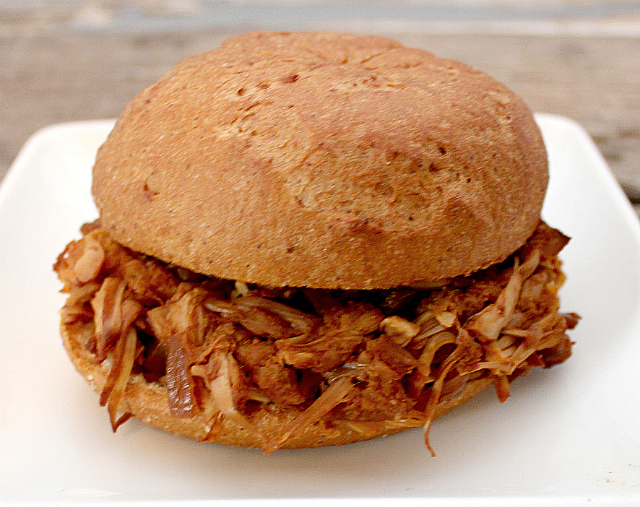 The recipe that started it all: Jackfruit BBQ Sandwiches. This is made in a slow cooker or can be made in an electric pressure cooker like the Instant Pot. This fools meat eaters at first sight, it truly does resemble pulled pork! The flavor is rich and bold, the texture meat-y. Pile it high on a bun with pickles! 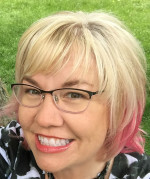 I’m from Kansas City, so that dictates the style of BBQ I most often make which is a tomato-based sauce with a hint of sweetness. 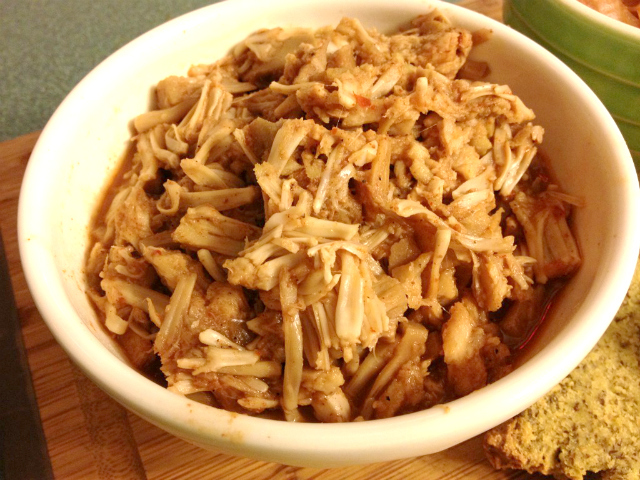 After making the original version, I was asked to create a Jackfruit Carolina BBQ version, more vinegar-based. I make this one just as often as the original! Keeping in line with the Carolina BBQ tradition, this is best served with slaw on the sandwich. 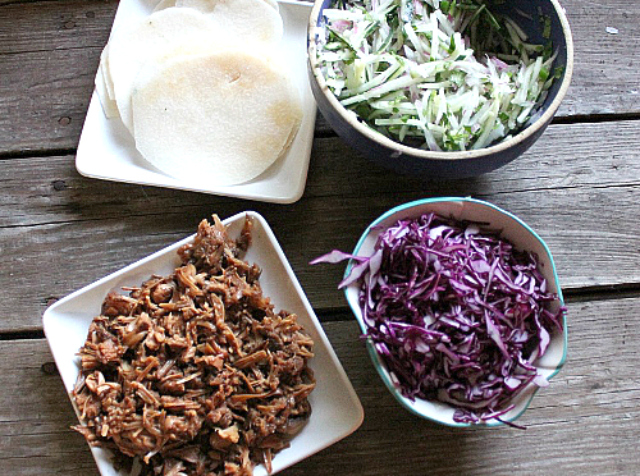 Jackfruit Korean BBQ Tacos topped with the included slaw recipe make a terrific family meal! This is a weeknight favorite that has just a hint of spiciness and a hint of cool from the slaw. These make a light meal when using thinly sliced jicama for taco shells. 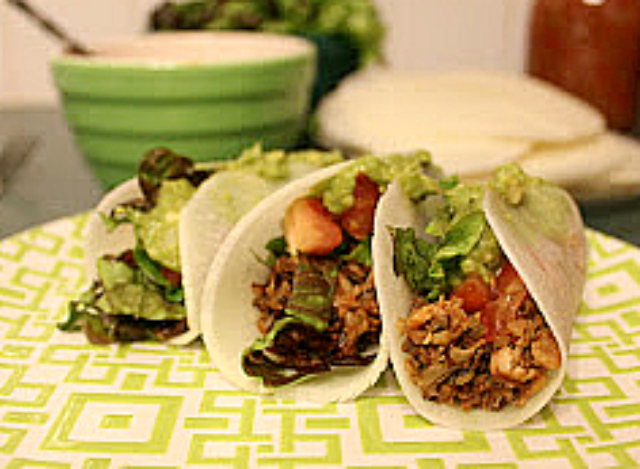 Speaking of tacos, this Jackfruit and Wild Rice Taco recipe is a fan favorite. I have shown this exact recipe in cooking classes to hundreds of people in my area and inadvertently created a jackfruit shortage! 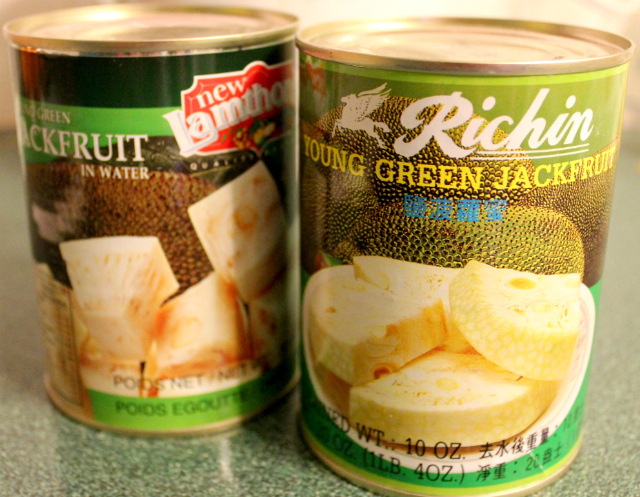 One holiday season I shared this recipe in 20 cooking classes and couldn’t find a can of jackfruit anywhere in town. Lesson learned, now I keep a stash in the pantry for when the taco cravings hit. Wild rice tip: it’s very affordable at Trader Joe’s. Wild Rice works well in this dish because is has a bit of a meaty bite as well. 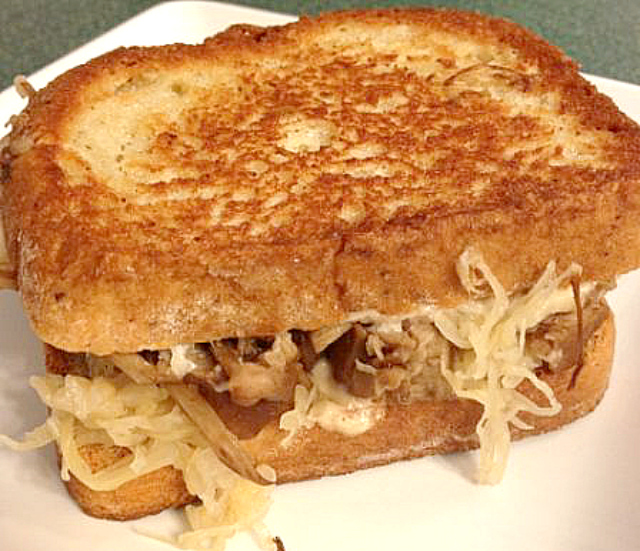 How about a Jackfruit Reuben Sandwich? This recipe includes not just the how-to’s for making corned jackfruit, but also recipes for a swiss cheese spread and a Thousand Island dressing recipe, both dairy-free. This recipe continues to be among the most popular here on my site and with good reason. It definitely soothes the craving for flavor combination found in a Reuben sandwich. I like this on Canyon’s Bakehouse’s Rye-style gluten-free bread. 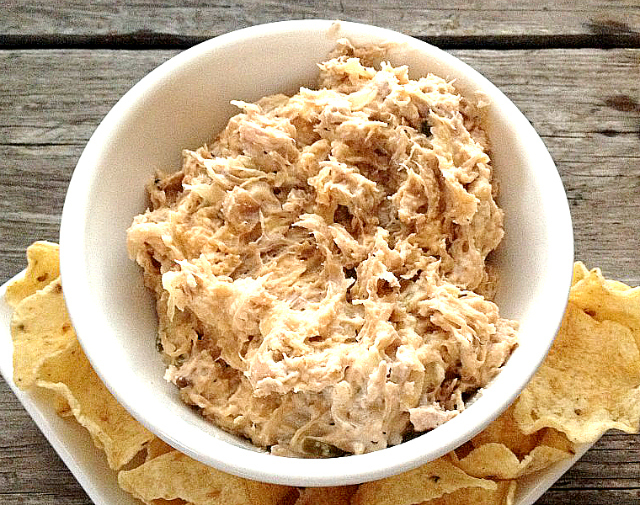 I’ve also created a Jackfruit Reuben Dip, a simple variation on the sandwich recipe. It’s creamy with a bite of tart and a bit of tangy, wonderful served with tortilla chips or with crusty bread. I’ve also used it as a baked potato topping. While many jackfruit recipes make great use of the shredded texture, young green jackfruit also flakes nicely, a bit like crab. 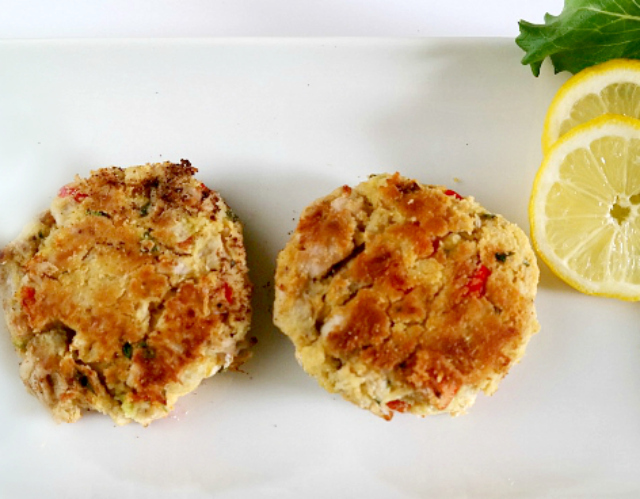 Here’s the recipe for Jackfruit Crab Cakes. I serve these with a side of Sriracha Cashew Cream, but a nice remoulade would work as well. Maybe even a bit of horseradish. 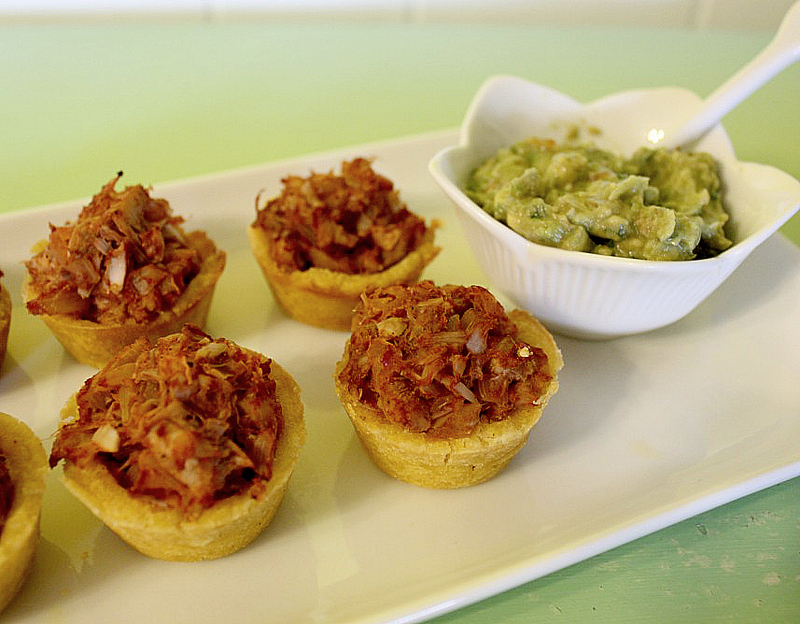 Here is my favorite jackfruit recipe for making a tasty nibble to share, Jackfruit Tamale Bites. These are a great make-ahead for the holiday season. The masa dough is so very easy to make and the finished dish transports well if you need to take a bite-size shareable to a party. Or you can enjoy them as a weeknight meal while binge watching your favorite show, with plenty of guacamole! There you have it, all of The Very Best Jackfruit Recipes in one handy place. I do hope you will enjoy making these dishes as much as I do!